One of the most common questions that we hear from prospective clients and new clients at Wagner & Wagner Attorneys at Law, with regard to Social Security Disability benefits, is this: “Why was I denied for Disability insurance?” When we look into a case, we often find that a denial was unjustified, and we represent clients in appeals through administrative hearings. If you have been denied benefits, our Social Security Disability lawyers can help you get back on the right track. In today’s world dominated by social media, we sometimes uncover an unpleasant truth about a Social Security Disability case: A client was depicted as active in misleading photos on Facebook or elsewhere on the Internet. Photos may show a person skiing or cleaning house, but cannot show the level of pain the person experienced in the process. We know from experience that a person with chronic pain may have a miserable day and certainly would not be able to hold down a job on that day — but for a few minutes, the person may be able to pose in a horseback riding photo. It takes an experienced SSDI attorney to help overcome this type of obstacle to benefits. 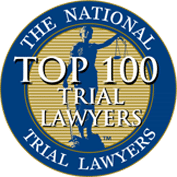 In other cases, we find that a claimant had failed to provide sufficient evidence of disability as requested, or had failed to complete some part of the application correctly. Sometimes a doctor has left out key information in a medical report. There is a process available for overturning a denial for SSDI benefits, but it is very difficult to navigate without an experienced Social Security Disability attorney. We work with a lot of clients who have tried to submit their claims on their own, first, and then need help figuring out what went wrong. If your Social Security Disability claim was denied, we can request reconsideration by a different person. If that is also denied, we can ask for a hearing in front of a judge. When you have your hearing, you will feel far more confident if you have been briefed on how things go. One of our experienced attorneys will be with you to speak on your behalf and to plead your case. Perhaps the judge will not overturn the denial, in which case we can ask for a review by the Social Security Administration Appeals Council. If that council rejects your disability claim, we can file an appeal with a Federal District Court. Throughout this whole sequence, we, as your disability lawyers, can represent you and present your case so that your chances of being awarded Social Security Disability benefits will be increased and your own stress level will be decreased. Do I need a Disability lawyer to help me? Newly disabled workers often contact our law offices wondering when they should talk to a lawyer about a Social Security Disability claim. The short answer is: as soon as possible, especially when initial consultations are free, as they are at Wagner & Wagner. A more precise answer in many cases is that a person does not need an attorney to file an application for SSDI benefits; however, most applications are initially rejected. After a rejection, it is appropriate and very common for SSDI applicants to retain attorneys to handle their appeals. 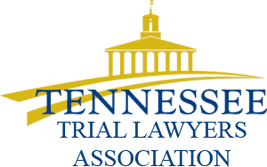 The Social Security Disability appeals lawyers at Wagner & Wagner Attorneys at Law in Chattanooga prepare persuasive arguments to present at administrative hearings. If a Social Security Administration hearing appeal does not bring about the desired result, we may take your case before a court of law. The Chattanooga Social Security Disability appeals attorneys at Wagner & Wagner have helped many people obtain benefits they were eligible for, after their applications had initially been rejected. Initial consultation with a lawyer at our law offices is free and holds no implication of obligation to retain our law firm. If you decide to have us handle your administrative appeal after your SSDI application has been denied, we will do so on a contingency basis. That means you will not owe attorneys’ fees until and unless we succeed at helping you recover a lump sum payment of benefits that you were entitled to but did not receive previously because of the denial. Please call us at 423-799-3532 or fill out this contact form to schedule a consultation with a Chattanooga Disability attorney today. 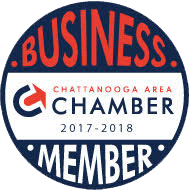 We also serve North Georgia, Cleveland and Chattanooga, TN and all surrounding counties.